In what is believed to be a world’s first, Kumulos announces its latest enhancement to its industry leading Crash Reporting Service – integration with Microsoft Teams, the group chat service. This allows users of Microsoft Teams to receive alerts from Kumulos Crash Reporting directly into their dedicated Team Channels. Kumulos Crash Reporting lets developers stay on top of the technical performance of their mobile apps, triage problems quickly and jump on big issues to resolve them fast. 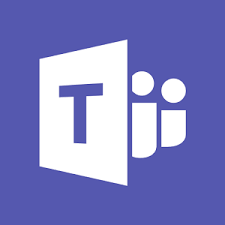 This new feature means users of Microsoft Teams can create dedicated channels for their app on the Microsoft platform so they receive instant alerts as soon as a new issue is detected by the Kumulos Crash Reporting feature. Kumulos Crash Reporting already integrates with Slack. This now means Kumulos works with two of the world’s most popular instant chat solutions. Kumulos Crash Reporting also provides integrations to JIRA and Trello, two of the industry’s leading workflow management systems, which are commonly used for Bug Tracking by mobile app developers. With integrations to industry leading instant messaging solutions and industry leading Bug Tracking Solutions, Kumulos Crash Reporting allows mobile app developers to be alerted when problems happen and work-flow them seamlessly through their chosen workflow management solutions, so they are always on top of the technical performance of their mobile apps. Kumulos Unified Mobile App Performance Management is the only platform to allow mobile app developers to stay on top of both the Technical AND the Commercial Performance of their Mobile Apps. It provides a single pane of glass through which mobile app developers can easily see the full life-cycle of the mobile app. Kumulos includes Crash Reporting, Analytics & Reports, Push Notifications, App Store Optimization and Backend App Hosting all powered from a single SDK and managed from a single management console. Try it for free today, for 30 days.